Cool quick reads by top authors who know how to keep things simple. Less is more. Get to the good bits faster. Not everyone has time to chug through a long book. Maybe you can’t be bothered. Or maybe you find reading tough. But the good news is, keeping it short doesn’t mean waving goodbye to great stories. And here’s the proof, in case you don’t believe us! 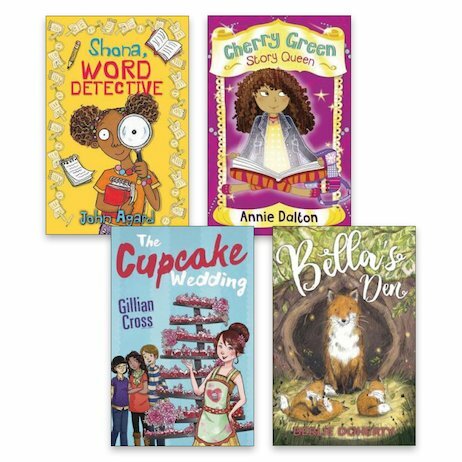 Funny, exciting short books written by seriously good authors like John Agard and Berlie Doherty. They’re great for anyone, but they have extra help for kids who find reading tough. Tell all your friends (especially the dyslexic ones) about them! Interest age 7-12. Reading age 7.